When It Comes to Kids’ Nutrition, Nothing Beats Milk. It's a startling fact: More than half of kids aren’t getting enough calcium, vitamin D and potassium — essential nutrients they need for proper growth. Even more alarming: Deficiency of any of these important nutrients could have serious health implications for kids and young adults. The problem is so pervasive that nutrition experts describe them as "nutrients of public health concern." MilkPEP research shows that nondairy milk alternatives like almond milk are popular, but when it comes to the nutrition kids’ growing bodies need, they just don’t compete with good ol’ fashioned milk. Like fresh, pure Hiland Dairy Milk. Nondairy milk alternatives vary in their nutritional profiles and are often fortified, but their nutritional impact hasn't been thoroughly studied. That's why it's important to understand the differences between these beverages and real milk. Consider this: With 8 grams of protein in every 8-ounce glass, Hiland Dairy Milk has eight times more protein than most almond or rice milk, which only have 1 gram of protein. But Kids Get Nutrients From Other Foods, Right? They sure do! But one of the reasons nutrition experts always come back to milk is that no other single food packs the nutritional punch that milk does. 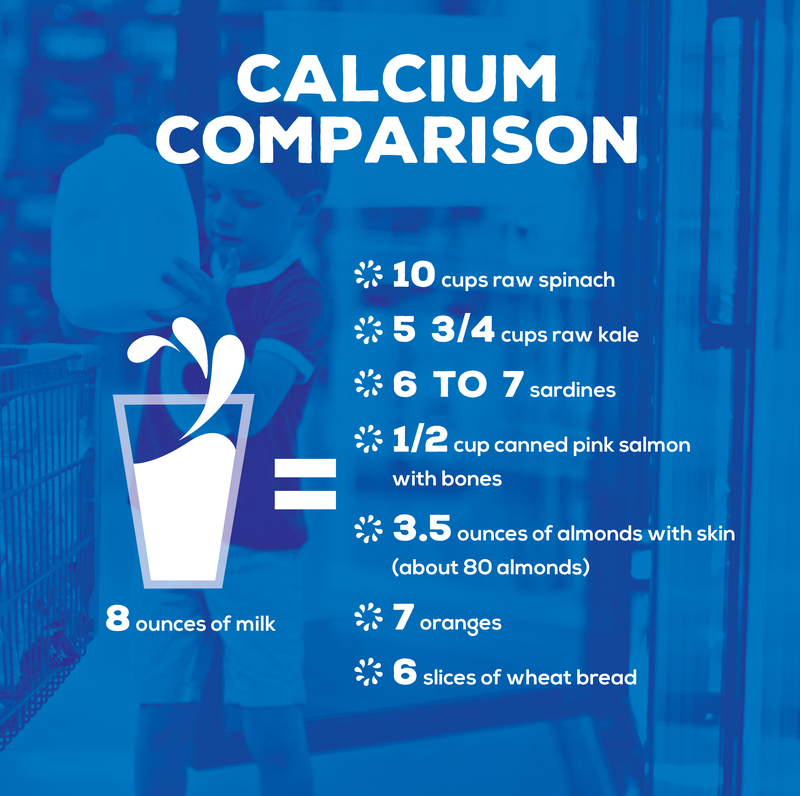 Calcium isn’t the only important nutrient kids load up on by drinking milk. Vitamin D, protein and potassium are also plentiful in milk. And, milk has always been a childhood staple, so the great thing about it is that kids already love it. They love something that’s also healthy? Go ahead and check that battle off your list. Especially if you’re trying to get them to eat six sardines or almost six cups of raw kale in lieu of one glass of milk! Kids ages 9 and older should have three servings of milk each day, and younger children should have between two and three servings, depending on their age. Getting in the proper number of servings is easier than you might expect. For example, recent research studies have shown that milk is more hydrating than sports drinks or even water, so pack a thermos of Hiland Dairy Milk to rehydrate kids during and after sports and other strenuous activities. Here are other ways you can pour more milk every day. 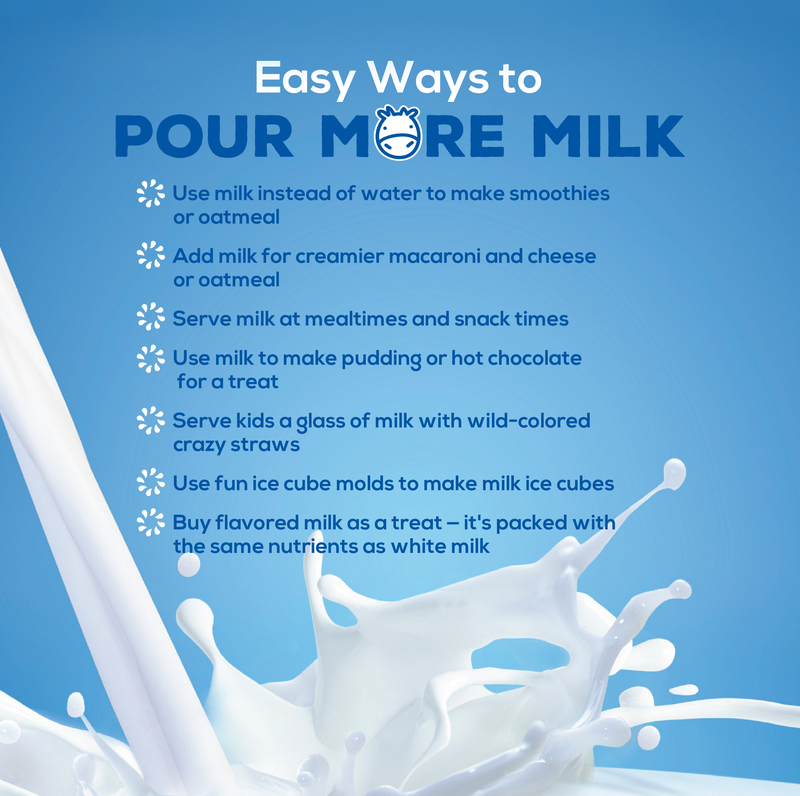 Hiland Dairy is proud to participate in MilkPEP’s “Pour More Milk” campaign.